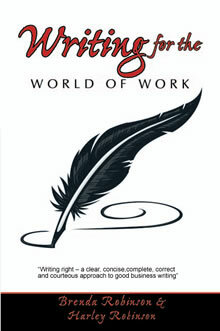 Writing well has become a necessity in most workplaces. Many of us spend hours every day sitting in front of our computers sending and receiving emails. Are we getting the results we want? Emails are meant to be efficient and effective. We need to strike a balance. There is no use being efficient - quick, fast and on time - if we are not effective - getting results. 1. Will your subject or heading get the attention of the reader? Try: "Meeting to gather input" - Instead of: "Weekly meeting"
Try:	"What's new in the budget?" - Instead of: "Budget meeting"
2. Did you use the 3 "P" formula for successful emails? 3. Is your email written in updated language? Try:	"Your meeting has been rescheduled to December 1" - Instead of: "We wish to advise that your meeting has been..."
Try:	"Will you call me at 444- 4444 for more details?" - Instead of: "Please do not hesitate to contact me..."
4. Did you refrain from using an authoritarian or bureaucratic tone? Try:	"Will you send me your monthly report by December 15 to ensure you are able to enjoy Xmas without worry" - instead of: "Monthly reports are required by December 15. Failure to comply may result in suspension." 5. Did you use specific terms, which leave no room for misinterpretations? Try:	"Will you let us know by April 12?" Instead of: "Hoping to hear from you in the new future." communicating – we email more than we converse. 6. Command / demand statements often sound bossy or domineering. Did you make use of questions to change the tone of your email? Try:	"Would you send us 14 copies of the newsletter?" Instead of: "We require 14 copies of the newsletter..."
Try:	"Will you please confirm your attendance by calling 444-4444 before 3 PM on Friday?" Instead of: "Your attendance should be confirmed by calling 444-4444 by 3 PM Friday." 7. Is your email easy to read and understand? Have you written your email at the grade 7, 8 or 9 level? Did you test the readability of your email? Check your sentences - 14 words is the longest sentence you should write. Check for more than 3 syllable words - maximum 4 per page (screen). Check your paragraphs - 5 or 6 sentences is a guideline to follow. Use more point form to make easier readability. Provide ample white space - borders or four sides and double spaced paragraphs to make reading easier. Use a larger font (12 - 14) and your simplest type. (We all have personal preferences). Make answers easier by providing check boxes or fill in the blanks. 8. Be certain that "you" and "your" outnumber the "I'" and "we" for a better appeal to the reader. Try: "Will you confirm the number of copies required?" Instead of: "We need to know how many copies we have to provide." Try:	"Thank you." Instead of: "We wish to express our appreciation for..."
Try:	"Your input is important to us, could you reply by December 2?" Instead of: "We require a response by December 2." 9. Get off to a positive start in every email. Try:	"Could you send two more reference letters?" Instead of: "Unfortunately, we cannot process your request until we get two more references." Try:	"The new brochures will be available on June 1." Instead of: "We're sorry. There will be no new brochures until after June 1." Try:	"We can provide 25 copies today and another 50 on September 1." Instead of: "We're sorry. All we have is 25 copies. We won't have anymore until September 1." 10. Use action directed endings. Try:	"Will you send your cheque for $26.70 by October 20? Could we call you on October 18 to be certain the cheque is on the way?" Instead of: "Payment is required by October 20." Try:	"Will you confirm your acceptance of this position in writing by..." Instead of: "Written confirmation is needed for acceptance of this position by..."
11. Avoid threats - threatening statements cause resistance. Try:	"Your payment of $78.00 will place your account in good standing and ensure no additional action." Instead of: "Failure to pay will result in legal action and damage your credit rating." 12. Emphasize what's next instead of what's past. Try:	"The next step is to clarify the procedure..." Instead of: "You should already be aware of the procedure to..."
13. Use an active style instead of a passive style. Passive writing sounds formal, impersonal and bureaucratic. Active writing is shorter, easier to read and clearer for understanding. Try:	"I asked for a policy manual to clarify the approach..." Instead of: "The policy manual was asked for to support the approach..."
Try:	"I went to the library to get the book you requested." Instead of: "The library was the place to which I went in order to get the book you requested from me." Some of us use the passive voice/style in order to avoid using "I". We were told in school that we shouldn't use "I" in business writing. 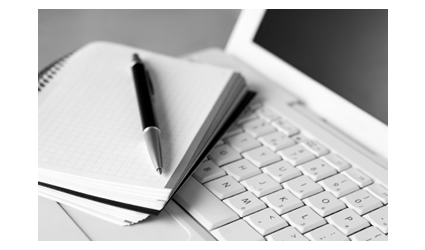 Emails are a new format for business writing. "I" is acceptable and often preferred. When you repeat your company or office, you may use "we". However, it is important to write clearly. This often means letting go of old rules, beliefs and mandates. "I" or "we" will help keep you writing active and clear. 14. Read before you send - we often get in a hurry to get a message off to the reader. Stop - read and then send is a good motto. Some writers even read aloud to check for tone and ease of reading. Invest in writing for results - it's worth it!